Do you have a virtual reality headset? Probably not, because they’re expensive and require even more expensive computers to run the complex graphics. 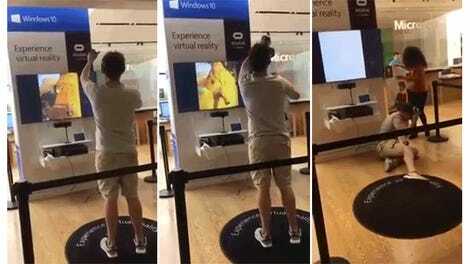 But Microsoft wants to open up a new category of low-cost VR headsets powered by a new update to Windows 10. Starting at $300, the headsets will be made by HP, Dell, Lenovo, Asus, and Acer. The hardware will run on a new VR platform in the Windows 10 Creators Update without the need for additional accessories or a complicated setup process. You can just plug the headset into a laptop. At least, that’s what Microsoft says. Beyond the starting price and a very basic demo showing a virtual space where you can watch TV or use apps like Skype and Paint in VR. Why anyone would want to do this is beyond me. The VR platform will work with some more Windows apps, too. 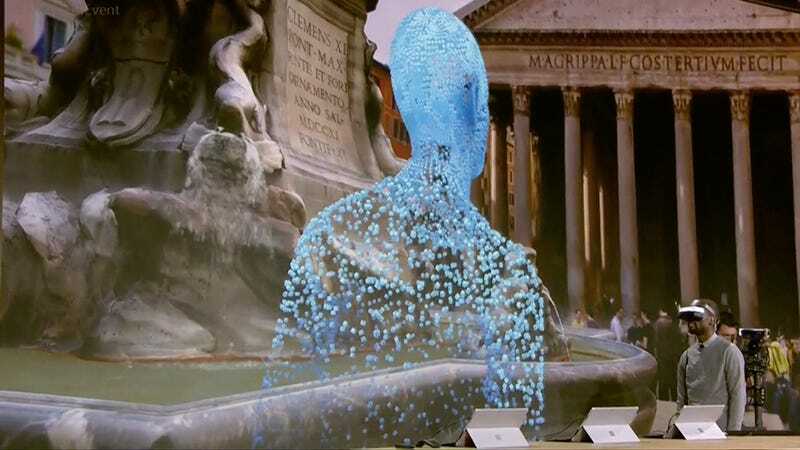 The demo showed a Microsoft employee take a HoloTour to Rome which seemed kind of cool. It’s unclear what kind of resolution the new software and headsets support. It’s also unclear how well they’ll work with video games, though one could imagine that the average laptop doesn’t have the graphics processing power to support the same games that look great on Oculus or HTC Vive headsets. The low price point of the VR headsets contrasts with the very high cost of the Hololens. At $3,000—ten times the cost of the cheapest new VR headset—the mixed reality Hololens hardware is basically unaffordable for everyone except business and rich people. So at least the rest of us can now experience the VR side of things. The Windows 10 update will be out early next year, and the new hardware will roll out around the same time.